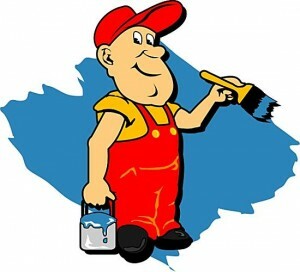 Selecting a painting contractor for your house is a major decision. Your home is one of your biggest assets. Make sure you know these insider secrets before you hire anyone to paint the interior or exterior of your home. When you enter your email address on the right, you’ll get instant access to our free report on how to hire a Boulder house painter. We’ll give you the knowledge you need to make sure you pay a fair price for quality work. Our FREE report will show you the steps to finding a quality, professional house painter in the Boulder, Colorado area. Don’t get ripped-off. * 4 Steps you MUST take before hiring a painting contractor. * 10 Questions to ask any prospective house painter to make sure they can deliver what they promise. * 2 Places you must check BEFORE SIGNING any painting contract. * Contact information for a top Boulder House Painter that will do a quality job at a great price. And a LOT more that will save you money and headaches with your painting job. Not reviewing our free report could cost you thousands of dollars and all the hassle that comes from hiring the wrong house painter. This free report is available for a limited time only... Painters and Painting Contractors mentioned in this report can only provide superior service to a limited number of clients.